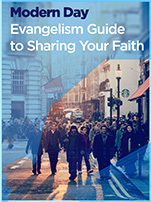 Equipping you with a powerful tool to share your faith in today's culture. VIDEO IS WHERE IT'S AT! Individual evangelism is all about being intentional with the individuals who live with you or interact with you regularly: your coworkers, your classmates, your neighbor, or someone who you would like to guide towards God and His church. Our Mission is to provide you with a simple & effective way to share your faith! Our evangelism tool leverages the one thing this world values the most, “money.” Everybody “likes,” “needs,” or maybe “loves” money so we have used it as a means to connect with the lost and point them a little closer to Christ. Show others unusual kindness and love by being generous and selflessly giving an Encounters of Hope gift card to spread the Gospel. Grab the attention of those around you! Let your light for Christ shine & help us make Jesus known! There is no cost too high to share the greatest news the world will ever hear! The Great Commission calls us to spread the Gospel to all the world, but a lot of times, for one reason or another, fear holds us back. We have made it so easy, now you don't have an excuse! There doesn’t have to be an awkward conversation and you don’t need a seminary degree. You can have as much or as little interaction as you wish. All you have to do is buy a gift card and give it to someone. We and MOST importantly God, will do the rest! Having a hard time envisioning what this looks like? No worries, take a look at some of our ideas. 1. Stopping for a quick burger? Grab a loose paper in the car, jot down a nice note, and ask the cashier to give the note and the Encounters of Hope gift card to the car behind you. If you want to go the extra mile, buy their meal too! This is a great gift for any occasion: birthday, wedding, or a job well done. They receive money like any other gift card, but now with a bonus....a message of HOPE! And show them gratitude by giving them a 20% tip AND an Encounters of Hope gift card! Leave a note or tell them how awesome they are as you give them the card. Show your kids teachers just how much you appreciate them! Teacher appreciation comes every year and it is a great opportunity to say thank you. If you have neighbors, you could bake some treats or put together a gift basket (include gift card), take it over and invite them to your church. 6. Are you a creature of habit? If you have work done on or around your home, bless them with a glass of water or cup of coffee, friendly conversation, as well as an Encounters of Hope gift card. Place one in your mailbox for your mail carrier or give one to the UPS driver who knocks on your door with a package. They will be so surprised and it's sure to brighten their day. Stick a gift card in an envelope, write something catchy on the front and tape it to a vending machine, windshield, or bench for someone to find. How awesome would that be? Instead of a social media private message, send an Encounters of Hope gift card in the mail to a friend with a kind note. Follow up with a phone call. Ready to finally step outside of your comfort zone? Take the next step, grab yourself some Encounters of Hope gift cards and make Jesus known!